The NHS West Humboldt Park office worked with Ms. Annette Johnson for nearly a year and a half to make her dream of owning her own home a reality. Annette had previously rented from her mother one block away at 541 N. Trumbull (who also purchased and rehabbed her home through NHS). 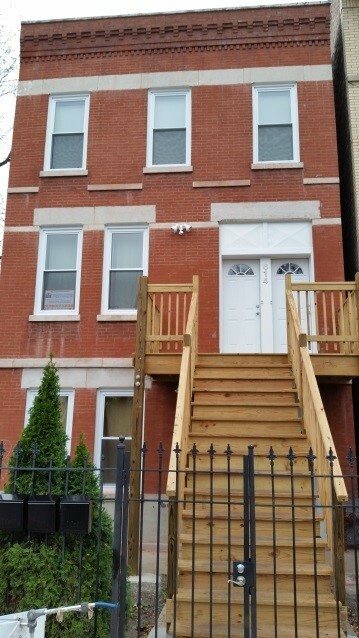 It was all worth it when she closed in July 2015 on her First Merit Purchase Loan, which leveraged TIF, TBI2 and MMRP incentives to allow her to buy and renovate this vacant 3-unit property at 614 N. Trumbull that had been vacant for over 3 years and had previously been the site of negative activity. As you read this, Ms. Johnson now lives in her fully rehabbed 3-unit and has two families renting the other 2 units. Share your story of why you give to NHS!